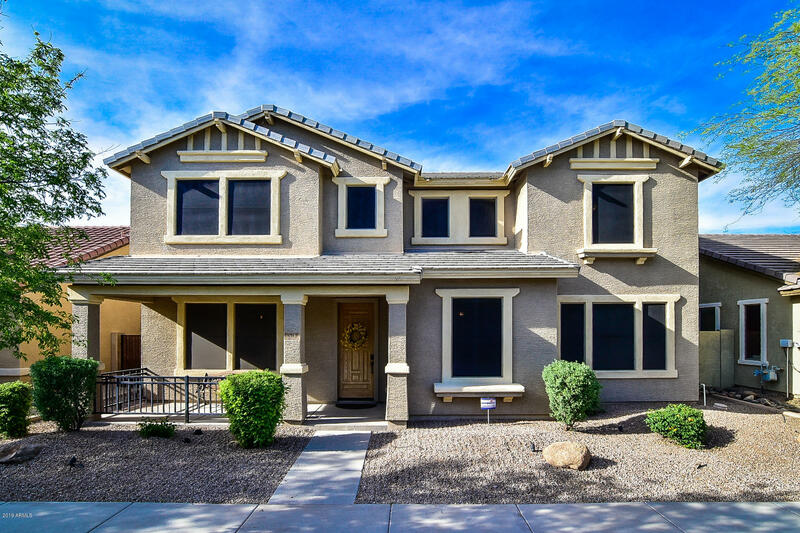 All LYONS GATE PHASE 5 homes currently listed for sale in Gilbert as of 04/19/2019 are shown below. You can change the search criteria at any time by pressing the 'Change Search' button below. "This one-owner home in Lyon's Gate is located on the only row of premium lots in the community with a full driveway and an extra long tandem garage. On the main level you will find separate living and family rooms, formal dining, a den/office, and the kitchen boasts beautiful staggered cabinets complimented by granite countertops and a granite backsplash. All 4 bedrooms are located upstairs including two masters, and a spacious loft. The master suite has dual sinks, separate tub and shower, and"